Yoga and beer?! Join us Wednesday, Dec. 12 for a little bit of both during Pints & Poses! 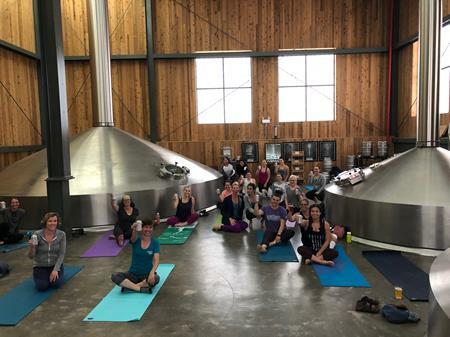 Yoga and beer … what could be better?! Join us from 5:30-7:30 p.m. on Wednesday, December 12 for a little bit of both during Pints & Poses. Tickets are $15 per person and include access to a guided, 45-minute yoga session and two cans of Dogfish Head beer.